A wonderfully funny story filled with letters, magic and vibrant colour. Duck is a magician. Abracadabra! He can conjure up a bunny, a chicken and even the king of the jungle. But can he make a dragon disappear? Come on an alphabet adventure with Duck in this brilliantly funny story from the bestselling creator of Hugless Douglas. Chaos Castle are huge David Melling fans, and D is for Duck cements our love even more. Writing a book in alphabetical order is a tough challenge, but Melling has taken the challenge and smashed it. 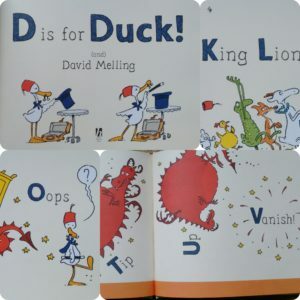 I managed to talk to David Melling briefly (read: fan girl gushed) about D is for Duck at Mostly Books earlier this month and he played down the wording saying magic doesn’t need to make sense. However, picture books definitely have to make sense to their intended audience and D is for Duck succeeds in this aim with its madcap magical mayhem. 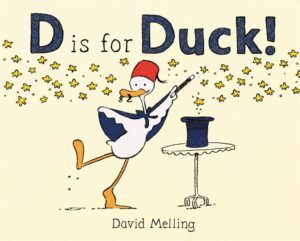 If you’re a fan of Melling doodles, D is for Duck contains a wardrobe you might recognise and even this sketchy style (which we love) contains those little details to keep parents amused on repeat readings. A mere thirty three words leaves most of the story in the pictures (yay) with wonderful expressions from all the characters as the plot plays out. 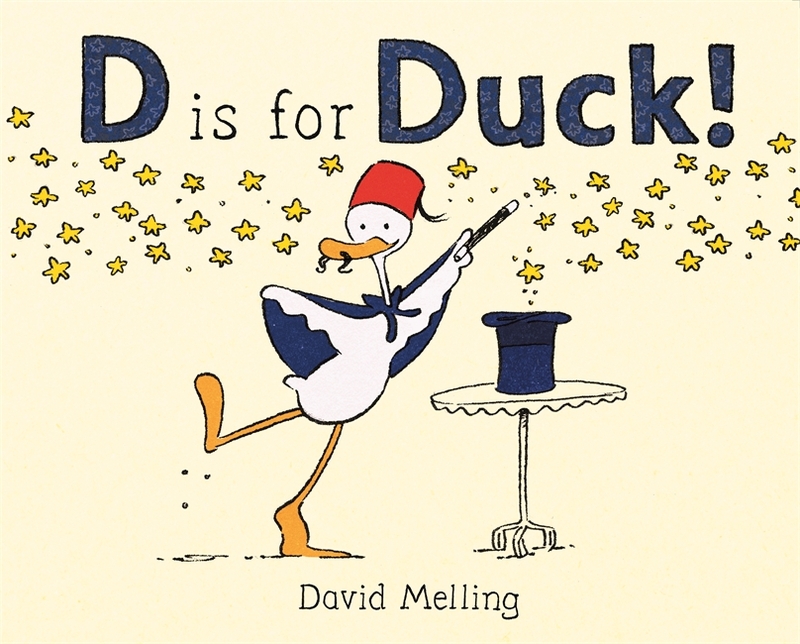 D is for Duck is suitable for a wide age range. Babies can be introduced to alphabet sounds, words, and bright pictures; toddlers and up can start to recognise letters, read, and add more detail to the story with their own words; and older children could be challenged to write their own story in alphabetical order. Definitely deserves discriminating designation. D is for Duck is A+. Chaos Castle | Powered by Mantra & WordPress.